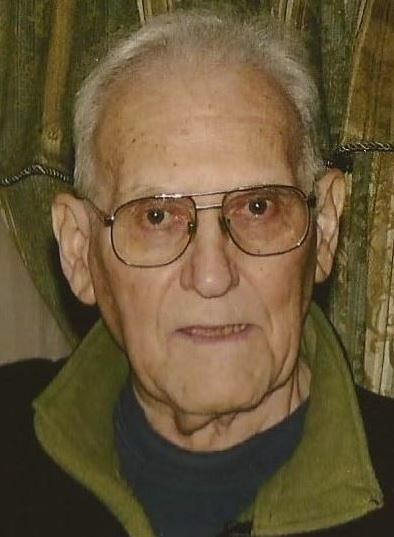 Floyd M. Keerps, 95, of Marietta, passed away March 22, 2019 at Marietta Memorial Hospital. He was born June 11, 1923 in Marietta, Ohio to Charles and Eva Keerps. He married the love of his life, Geneva A. Haas on May 11, 1946, who preceded him in death on January 2, 2019 after 72 years of marriage. Floyd will be deeply missed by his children Floyd D. (Patricia), Daniel (Ellen) and Bonnie Rake. Grandchildren Lori, Mark and Eric Keerps, Nicholas and Vanessa Rake, and Joseph, Thomas and James Keerps. Also surviving is his sister Wanda Phillips. In addition to his parents and wife, Floyd was preceded in death by his sibling Leon Keerps, Robert Keerps, Ethel “Kate” Hinzman. Friends may call Monday, March 25th from 4 to 7 p.m. at Roberts Funeral Home-East Lawn Chapel, 27880 St. Rt. 7, Marietta. Funeral services will be Tuesday at 11 a.m. at the funeral home. Burial will follow at East Lawn Memorial Park, where military rites will be held. Online tributes may be made at www.RobertsFuneralHome.com. Memorial contributions may be made to Gilman United Methodist Church After School Program, 312 Gilman Ave, Marietta, OH 45750.